5.0 out of 5 starsA must-have for any student or professional. English is my second language and this book is very easy to read and is structured. It not only tells you what to say but WHY it is written or said that way. 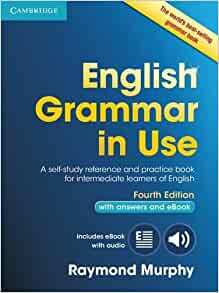 This book is an effective tool for college students also who seek to write essays with better grammar. 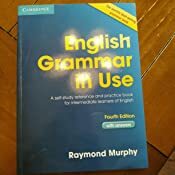 I have used this book several times and throughout my years of English classes I realized that many teachers use it to complement the regular workbooks. My father has used it and loved it, I have used it and loved it and now my wife uses it and is loving it. She often returns from the English class and opens the EGU to find the subject she just learned. She says that sometimes the book explains better in one page what her teacher wasn't able to explain clearly in a couple hours of class. 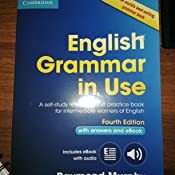 It's an excellent book for improve my grammar skills. A friend teacher of the ESL program, at college, recommended me buy it. 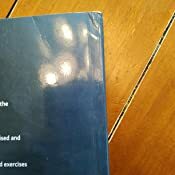 I'm studying one chapter daily and it has made me feel more confident. On the other hand, I didn't buy the third edition because I found this (fourth edition) in the same price; the teacher I mentioned, borrowed me the third edition and the fourth is a improve version of the third, keeping the same dynamic. 5.0 out of 5 starsI recommend it. Great for ESL class. I make copies to use for my ESL class. I love that one page has rules and the other has a worksheet. I use it with multiple grammar points I teach in class. I have to make minor changes to American English, but it's just simple things like crossing out "holiday" and writing "vacation." This book does a good job for the first few chapters only. The other chapters are crap! 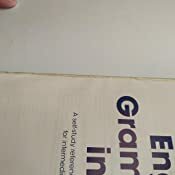 A very useful, complete book if grammar in use. I always keep a copy nearby. 3.0 out of 5 starsThe cover looks used!